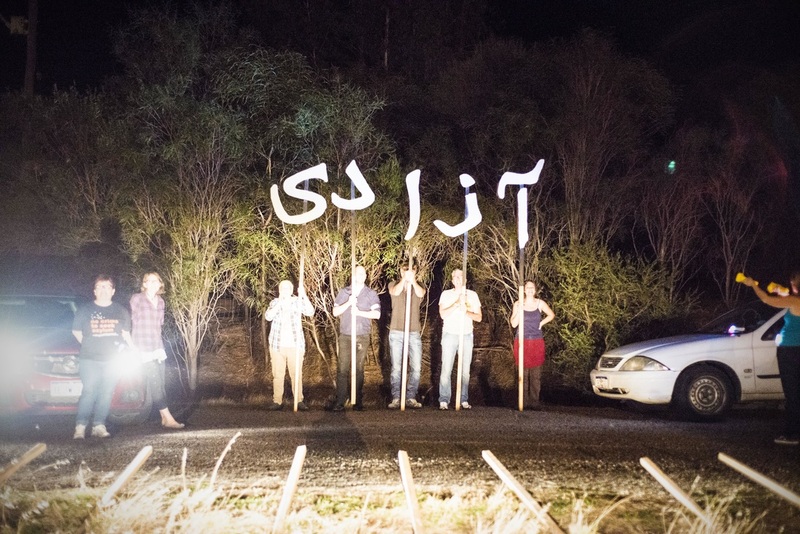 Curated by Anna Louise Richardson, I AM, YOU ARE, WE ARE explores the experience of migration and the 'outsider' in Australia. Bringing together the work of Olga Cironis, Eva Fernandez and Marziya Mohammedali this exhibition provides a visual exploration of three women's experiences in making and exploring a new home. 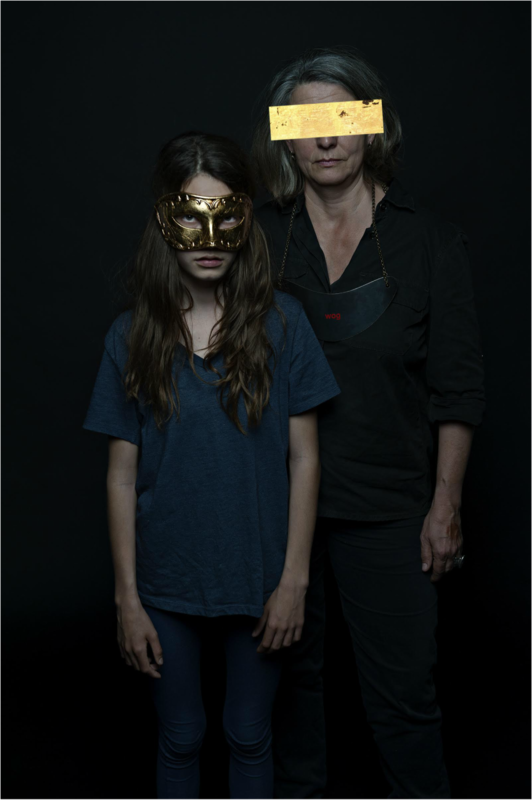 Engaging artists whose works examine themes of identity, and dislocation I AM, YOU ARE, WE ARE portrays the Australian cultural landscape, and its attitudes to welcoming or accepting difference. Embedded within the broader Australian narrative of xenophobia and privilege this exhibition examines alternative perceptions of home as a means of reassessing the politicised nature of ethnicity in Australia. Chapter House Lane in association with the Human Rights Arts and Film Festival, Melbourne, VIC. 7 - 31 May 2015. Olga Cironis, Wog, 2014, Archival pearl print, 130 x 95cm. Olga Cironis, I Refuse, 2014, Archival pearl print, 130 x 95cm. Eva Fernandez, The tea party is over, 2015, Archival print, 240 x 50cm. Marziya Mohammedali, Azadi (Freedom) outside Yongah Hill Detention Centre, 2015, Print on vinyl, 115 x 76cm. 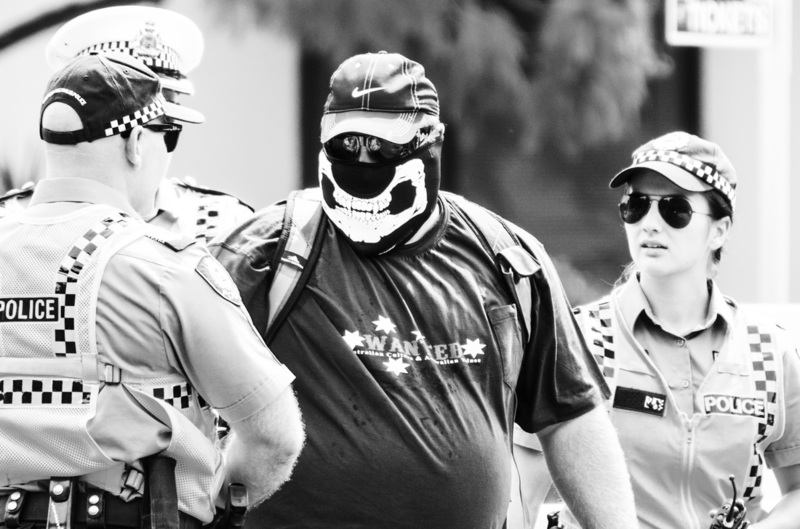 Marziya Mohammedali, Reclaim Australia supporter with police, 2015, Print on vinyl, 115 x 76cm. I AM, YOU ARE, WE ARE is supported by NAVA. The Australian Artists’ Grant is a NAVA initiative, made possible through the generous sponsorship of Mrs Janet Holmes à Court and the support of the Visual Arts Board, Australia Council for the Arts.